It’s the most wonderful time of the year—except not for your skin! So many people look forward to the winter months for all of the many beautiful reasons that make the holidays so exciting, from the cold weather to the extra time with family, but there are many reasons why this time of the year may actually be causing extra stress for your skin. 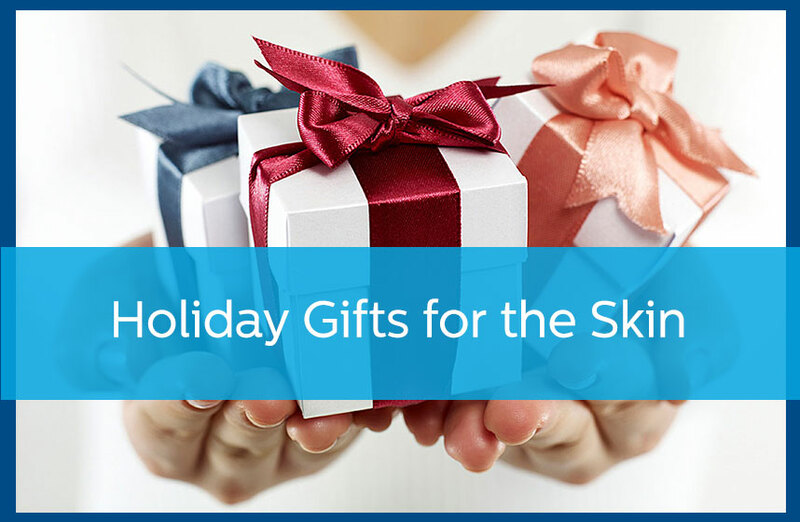 These stressors impact just about everyone during the holiday season, so when you are stressing about what to buy those last friends and family members who are difficult to shop for, you may want to think about the gift of skin care. There are a lot of ways that you can give a gift that supports healthy skin care this holiday season. This is a gift that just about anyone can appreciate. After all, everyone has skin! You might as well take care of it to help your body feel as comfortable as possible this winter. Bath Bombs. These are one of the hottest gifts right now, and there are plenty of moisturizing bath bombs that are actually very good for the skin. Moisturizer. A lotion set is a great gift for the winter, especially if the person you are gifting lives somewhere cold. Opt for winter-scented lotions for additional holiday flare. Electric exfoliator. This is a great gadget for the tech-lovers in your life. This device gently brushes the skin to exfoliate, removing the buildup of dead skin and calluses from the surface of your skin. Skin sets. A skin care set is a great way to help a friend give their skin a bit of a pick-me-up. Lipid restoration, toner, moisturizer, dark-spot reducer—these are just some examples of the types of products that you may find in a holiday skin care gift set. Don’t neglect your skincare routine this holiday season! While shopping for skin care gifts is a great way to finish shopping for everyone on your list, it is also a great way to provide yourself with a bit of self-care. If your skin needs a bit of extra care this winter, then schedule a consultation with your dermatologist. Schedule a consultation with Avail Dermatology today by calling 770-251-5111.